The stopover has rapidly become the best deal for savvy travellers. If you’re travelling on a long haul flight, why not get off the plane at the halfway point and add an extra country to your trip? It’s an opportunity to stretch your legs, get some decent sleep, and explore an extra city (or two) that you would’ve otherwise flown over. For most airlines, a stopover is a visit of at least 24 hours or longer in a city. The best part is, most airlines will allow a stopover for free or at very minimal charge. Some will even allow passengers to stay as long as a week, while others permit multiple stops on a journey. It’s basically a two-for-one special! Why go? Hong Kong is buzzy, alive, and rarely sleeps. Foodies will love this city for its non-stop buffet of international cuisine. Don’t miss Dim Sum in a Cantonese restaurant or High Tea at the swanky Intercontinental Hotel. At sunset, take the tram to Victoria Peak and snap killer photos of the skyline. Fashionistas can cruise for designer labels near Tsim Sha Tsui or dirt cheap bargains in the Temple Street Night Market. For a walk on the wild side, I recommend the Dragon's Back trail – a 4-hour trek along the South China Sea declared “Best Urban Hike in Asia” by Time Magazine. Destinations: Over 167 destinations worldwide, including North America, South America, Europe, South Africa, Australia, New Zealand, Southeast Asia, Middle East & Indian Subcontinent, Mainland China & Northeast Asia. Why go? Seven days is plenty to explore Iceland’s rugged scenery, shops, fresh seafood, and volcanoes. In the winter, you can get awesome views of the Aurora Borealis outside of Reykjavik. 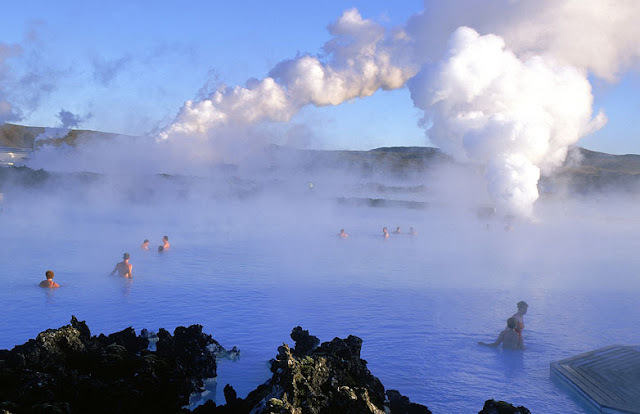 Take a dip in the Blue Lagoon – a geothermal spa formed out of a lava field. I loved relaxing in the warm waters and it’s good for the body. Read about our trip here! Departs: Toronto or Halifax (May to September). Year-round USA departures. Destinations: Netherlands, Belgium, Germany, Scotland, Finland, England, Spain, Italy, France, Russia, Switzerland, Norway, Denmark, Sweden, USA, Canada. 3. The South Pacific Islands: Rarotonga, Vanuatu, Fiji, Samoa, Tonga, Tahiti. Why go? These exotic islands are a castaway’s paradise with white powder sands, coconut palm trees, and turquoise lagoons. 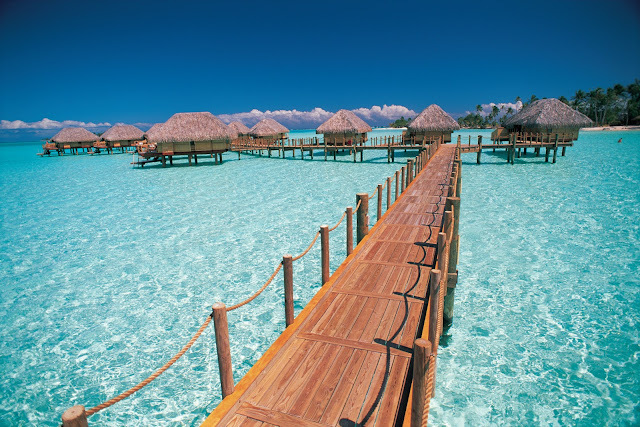 For the ultimate indulgence, stay at the St. Regis Bora Bora Resort in an overwater villa. Here you can enjoy stunning views, a private butler service, and illuminated glass floor that will make the lagoon shimmer in your room. Beach bored? Adventurists can happily trek amidst jungles and volcanoes, or snorkel in underwater forests and coral reefs. Island hopping doesn’t get any better than this. Destinations: London, Los Angeles, San Francisco, Vancouver, Honolulu, Hong Kong, Shanghai, Tokyo, Osaka, New Zealand, Australia, Canada. Why go? Sultans ruled this historic city for centuries – but now it’s dominated by tourists looking for a fusion of traditional and modern culture. By day, explore ancient temples, palaces and fortresses, and by night, go on a circuit of bars, restaurants, and clubs. Take a long walk through the Old City to the Blue Mosque, where you can marvel at its glittering stained-glass windows. 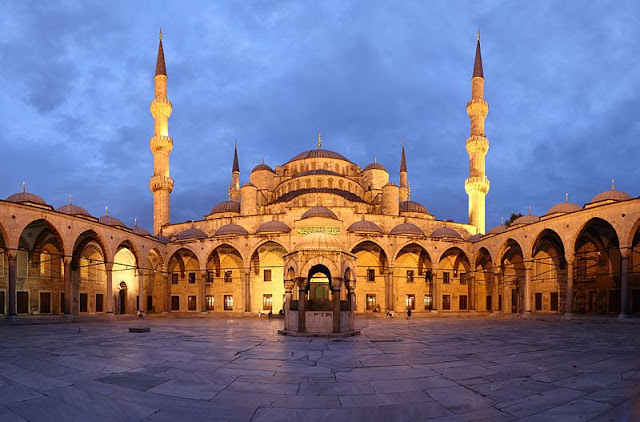 For the ultimate shopping experience, haggle for a bargain on Turkish goods in the 500-year old Grand Bazaar and then spend a leisurely afternoon in a cafe. No trip is complete without a visit to the Hamam (Turkish bath) for a steam and body wash.
Why go? Um, do I really need to justify this one? Sand, sun, surfing, and volcanoes! ‘Nuff said. But if you need convincing, check out our recent visit from the Fairmont Orchid in Kona. The only hiccup is that Hawaiian Airlines doesn’t depart from any Canada cities. So get thee to New York, Chicago, Los Angeles, or Boston to catch a flight! Destinations: USA, Hawaii, New Zealand, Australia, Thailand, South Korea, Japan, Philippines, Samoa, Tahiti. Why go? There’s a whole lot happening in this super skinny country, squeezed between mountains and coast in South america. Take a scenic drive along the Colchagua Valley – the “Napa” of Chile, where you can sample delicious wines and feast on gourmet food. If you crave relaxation, head north to Playa Blanca for blissful beaches and tropical winds. Feeling ambitious? Go river rafting, or if it’s wintertime, skiing in the Andes. 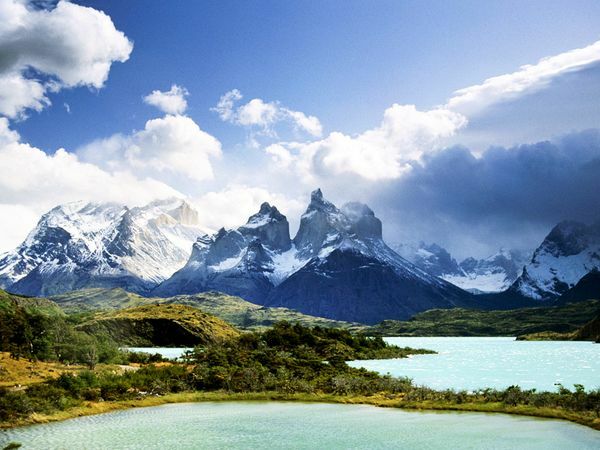 For an unforgettable experience, hop a plane to Torres del Paine National Park for a hike through glacial fields. Whatever direction you choose, it’s gonna be epic. Airlines: LAN Air. Air Canada stops in Santiago en route to Buenos Aires. Destinations: South America, Central America, USA, Canada. -- Lisa Jackson is a freelance writer and regular contributor to Hip + Urban Girl. Follow her on Twitter @lisajtoronto. How do you go about arranging these extended stop overs? When I went to Australia, we had multiple stop overs but always worried that the delay isn't long enough to adventure outside of the airport. There are a few ways. 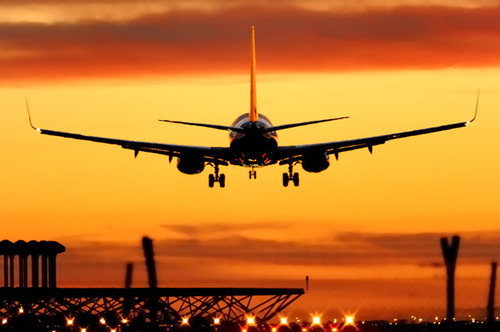 If your route is fairly simple, you can opt for the DIY route - just go on the airline's website and book it yourself. I did this with Icelandair. But if your route is more complex or you're unsure about timing, call the airline or contact a travel agency to make the arrangements for you. Flight Centre (www.flightcentre.ca) is very knowledgeable and can make the arrangements at no additional cost.